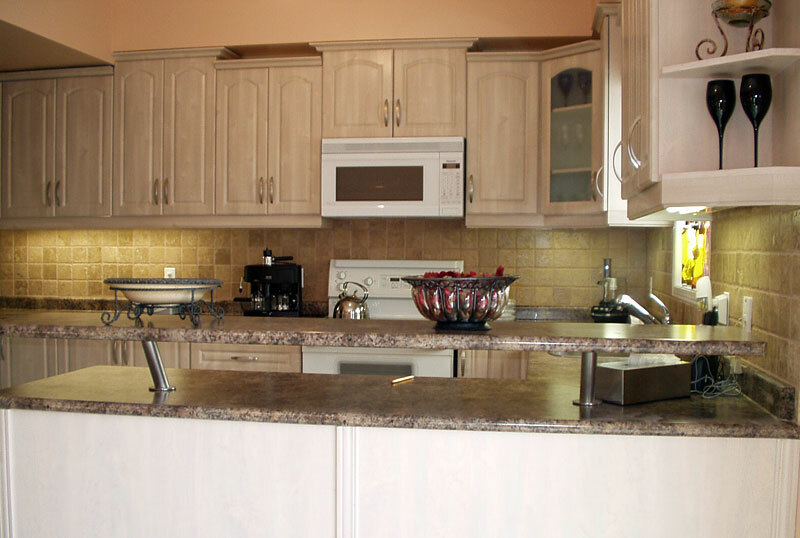 Award Kitchen Refacers - Cabinet Refacing in Toronto Made Easy! The kitchen of your dreams ... for less! Award’s kitchen cabinet refacing process will breathe new life into your kitchen, giving you the kitchen of your dreams for far less than the cost of replacement. Advice and suggestions custom-tailored for you! If you're a senior aged 60+, you are automatically eligible for our lowest possible rate on time and labour when we reface your kitchen. For more information, please call us and mention that you are eligible for the seniors' discount rate. When Award Kitchen Refacers undertakes your kitchen refacing project, we will complete it within the proposed time frame. Our in-house refacing professionals will use top-quality parts, leave your kitchen as we found it, and make your kitchen renovation a pleasant and hassle-free experience. 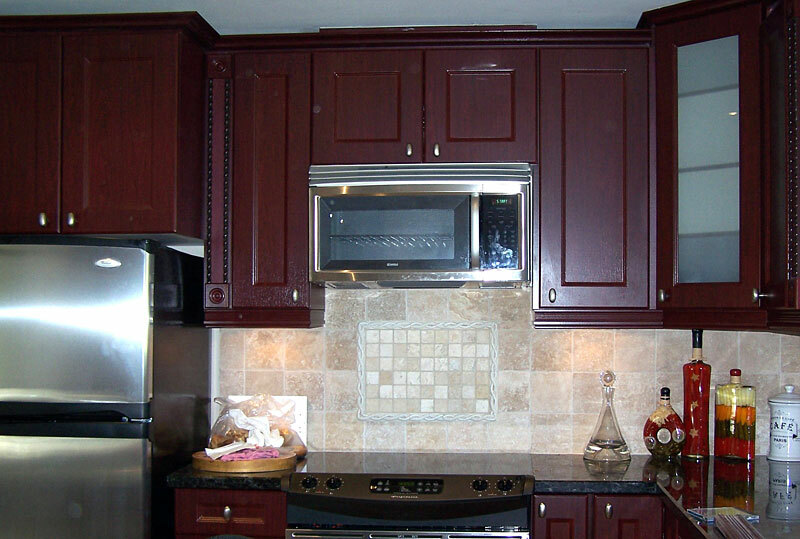 A kitchen refacing project will help to preserve environmental resources while looking beautiful. Since we reuse your existing cabinets when possible as opposed to disposing of them in a landfille, you save money and help the environment! If we need to replace your doors, we exclusively use wood doors. 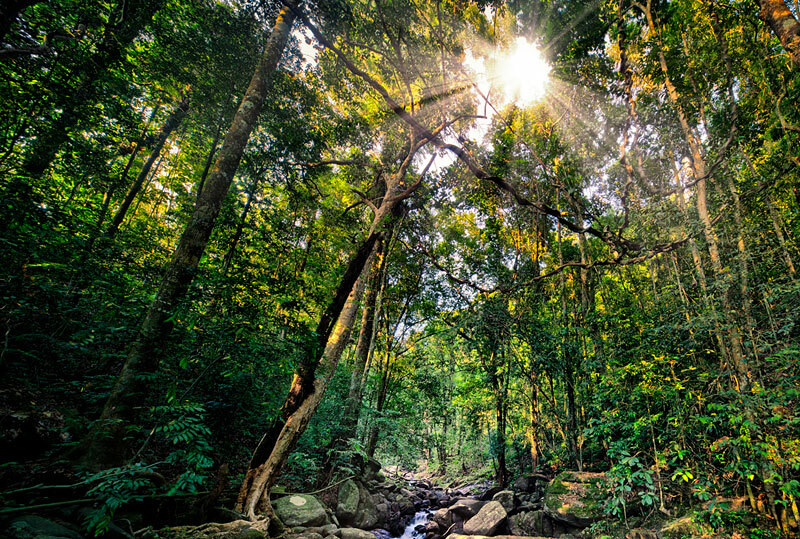 Wood products require less energy consumption in manufacturing than metal or plastic products, and are biodegradable, recyclable, and renewable. Save Money and Get the Kitchen of Your Dreams! When refacing your old kitchen cabinets,you can turn an old fashioned style into a modern look without replacing all the cabinets and $ave! Most older kitchen cabinets are better constructed than their newer expensive counterparts. By just refacing (replacing) the doors, hinges, and handles you can end up with the kitchen you always wanted with many new practical inserts such as sliding shelves, wine coolers and much more..